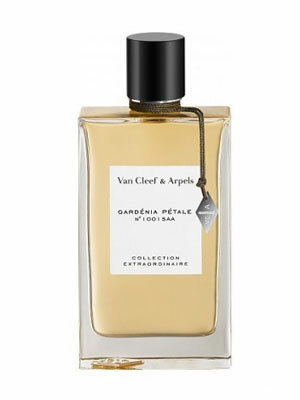 One of Van Cleef & Arpels' 'Collection Extraordinaire'. There are 6 reviews of Gardénia Pétale. The long search is over. This is gardenia with some kind of fizz. I'm not smelling tuberose here -- none of that fleshiness. Elegant, effervescent, any season, day or night. Nice bottle, too. 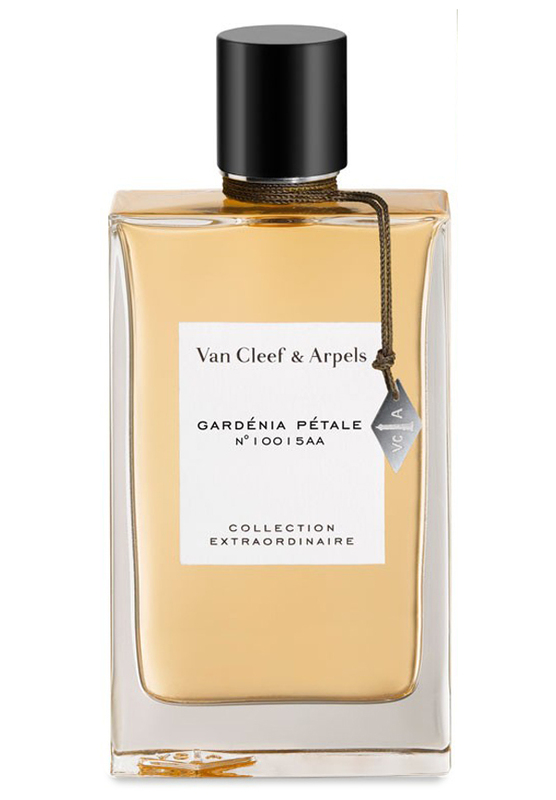 Definitely the winner of the VC&A Collection Extraordinaire, Gardenia Petale is a perfect match of indolic tuberose and jasmine. The tuberose gives a narcotic headiness while the jasmine keeps things from getting too loud, adding a prettiness you rarely get from tuberose (which is really more of a screamer than anything "pretty"). There's a touch of bleu cheese to give the sense of gardenia, as well as a soapy white flowers accord that goes a long way to make Gardenia Petale smell "perfumey" and not just "realistically floral". The whole thing has a slight piquancy to it, a sort of peppery ginger quality that I rather enjoyed as a counterpoint to the perfumed prettiness. The base introduces a touch of sandalwood under the rich soapy musk. I think it's fair to call this "Chanel-inspired", which I mean as a compliment and not as snarky put-down. Frankly, in my opinion, if more perfumes were "Chanel-inspired", we'd have a lot more decent perfumes out there. I fully agree with Teardrop about some Yosh's fragrances conjurations (Stargazer, Ginger Ciao, Whiteflowers) aroused by this fragrance. What can i say? Lovely, really lovely and almost utterly natural/indolic floral with an heady gardenia, one of my favorite floral around because of its radiant and joyful temperament. The beginning is sparkling and may be slightly gingery. I detect a sheer jasmine engaged in rivaling with its main counterpart (gardenia) and a musky lily of the valley rising up at distance under my nose. Each part of the developing smell is fresh, fragrant, radiant and optimistic in the general sophistication of the olfactory work. The musky touch is sensual and a bit over casting the initial whiteness. The dry down is extremely subtle and sophisticated with a really sensual mature vibe. For an half age business woman. Gardenia Petale starts out promising and sparkling, but then stalls, languishing as tuberose and stiff vegetation. It would be nice to encounter on someone else in passing, but I would find it boring to wear. This is a very well crafted fragrance; complex, captivating and just plain gorgeous. I would say it's one of the best gardenia fragrances out there. The gardenia note is not cloying or overpowering, but is soft, creamy and sensuous. Wow, this actually does deserve the label "Extraordinaire"! Just when l thought it was not possible to rival my HG gardenia perfume; Lauder's wonderful Tuberose Gardenia; this one comes along & threatens to wrestle Lauder's crown away from her. l am seduced, & so unexpectedly. l get a cool, green lily of the valley in the opening, soon developing into a rich, creamy, true gardenia in full & spectacular bloom. The gardenia reigns supreme for the full & glorious duration, taking on a crisp & frosted feel in the far drydown 6-7 hours later, in a way reminiscent of Yosh's Whiteflowers, which l also love. Having tried a great many gardenia perfumes, & having been disappointed by most of them, it is an absolute joy to have found not just one, but two that l can truly love, & that are worthy of the name of the most intoxicating flower on earth. lf you love gardenia, you have to try this! There are no member images of Gardénia Pétale yet. Why not be the first?